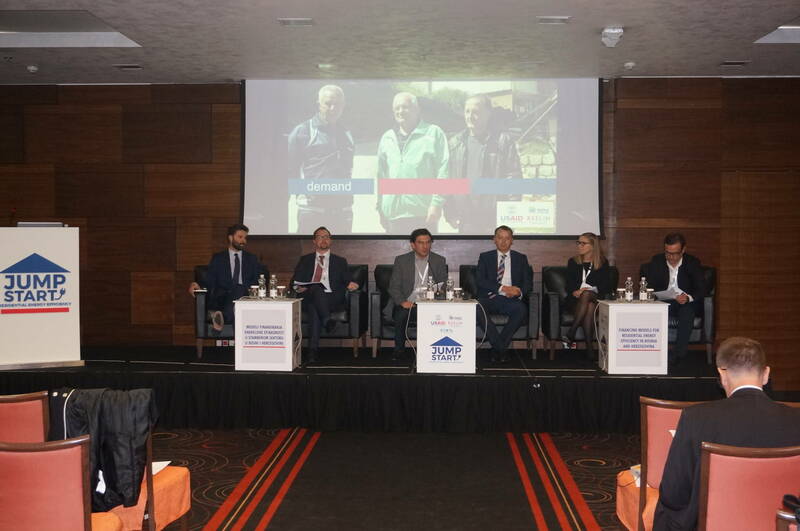 USAID supports key reforms in BiH energy sector with special focus on improving living conditions of low-income families, reducing energy costs and carbon emissions. 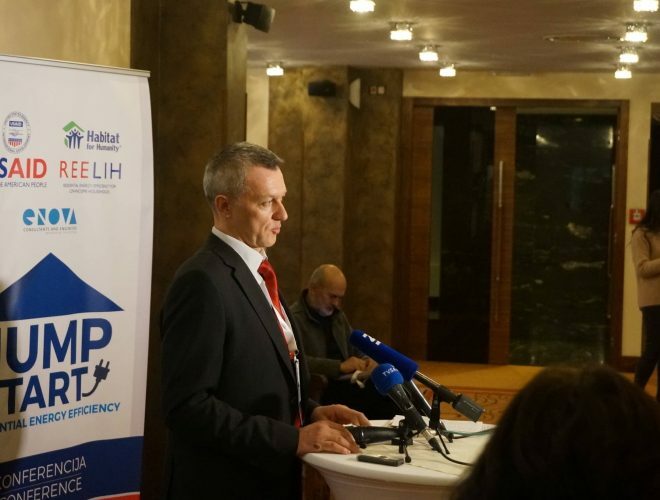 Currently, USAID is providing support in the BiH energy sector through USAID REELIH – Residential Energy Efficiency for Low-Income Households Project and USAID EIA – Energy Investment Activity Project. The assistance programs of these two projects are dealing with key obstacles in energy and energy efficiency sectors in the country. Inefficient energy use and energy poverty are key issues impacting the residential energy efficiency sector in the country. The majority of buildings in BiH don’t have adequate insulation and they require renovation. Energy efficiency measures, including thermal insulation of walls, heating system upgrades and new windows, result in a lower energy bills, and improved living conditions. Large scale renovation of the building stock in BiH is a major investment that can boost the local economy and have a long term positive effects on the environment. 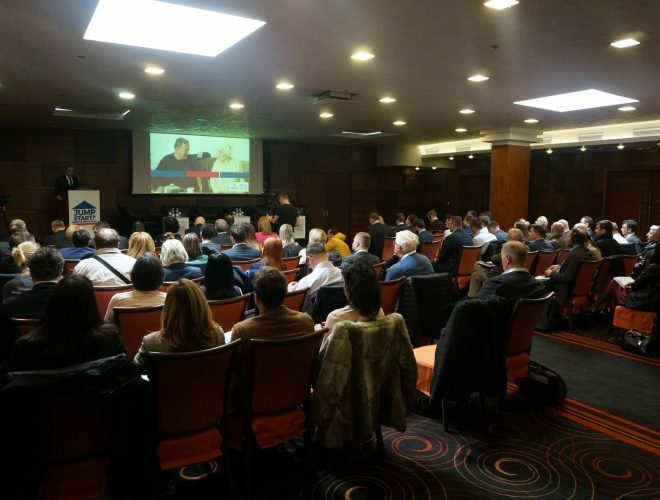 Therefore, the key challenge is how to develop efficient financing model and implement solutions that will allow a large scale renovation schemes in BiH. Although savings that can be achieved by energy efficiency measures are significant ordinary families are still reluctant to make the necessary investments without adequate financial incentives. This conference will explore key challenges related to development of financing solutions that will address constraints faced by low-income families. 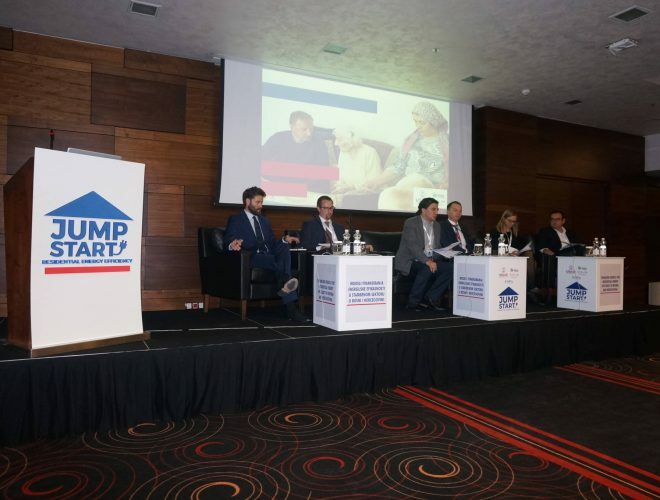 As a part of Residential Energy Efficiency for Low-income Households (REELIH) project supported by the United States Agency for International Development (USAID), ENOVA together with Habitat for Humanity International organized a conference “Jump-Start REE”: Financing models for Residential Energy Efficiency in Bosnia and Herzegovina held on 02 November 2017 in Hotel Bristol Sarajevo, Bosnia and Herzegovina. Effective financial model needs to address both social gaps and incentivize house owners to invest. That is why this conference brought together the key stakeholders including governmental and non-governmental organizations, as well as domestic and international financial institutions. You can find the detailed Conference Program.